I have always wanted to donate my organs, but didn’t quite know how to go about it. I am glad that 'Gift your Organ Foundation' contacted me to do so. When we are dead and gone, if our organs could save anyone's life or be used for any medical research, then why wouldn't we do it. There is a lot of myth about pledging of organs, and we are quite uninformed about it. It is time that we pledge all that we can to give life to those who are suffering. And all this with absolutely no harm to our ownselves. A meaningful life can go beyond one's Death!" 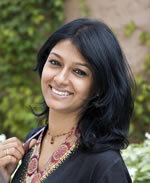 "@kiranshaw: Hope everyone becomes a ready donor. I have lent support as an organ donor - my kudos to Sameer Dua's NGO "Gift Your Organ" (On Twitter)." "The Gift Your Organ Foundation is doing excellent work of creating awareness and the State Transport department is very happy to support this Foundation. As Indians, all of us do all kinds of donations, however, organ donation is the highest kind of donation possible and every Individual should pledge their organs. There is a huge shortage of organs and there are no donors available." "Gift Your Organ Foundation has taken a very bold step to do this great job of promoting organ donation. You are going to save lives of many people. I request the public and the media to come forward and donate their organs. It will be the best thing you will be doing for yourself and others." Spain tops the donation list, but India is at the bottom. 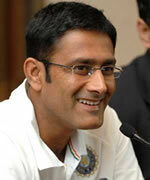 There is a need to increase awareness,” stressed ace cricketer Anil Kumble, who is also brand ambassador for ZCCK. Drawing parallels between cricket and life, Kumble said just as second innings is important in Tests, organ donation is significant in life. The second innings of one person can ensure first innings of somebody else in need of an organ, Kumble said. “I, Priyanka Chopra, hereby pledge to donate my organs in case of brain death.” Bollywood actor Priyanka Chopra Friday pledged to donate her organs at a function organised by the Armed Forces Retrieval and Transplantation Authority (AORTA) here. 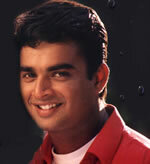 The cricketer Vinod Kambli, said, "This is a great cause that the foundation is promoting and creating awareness. 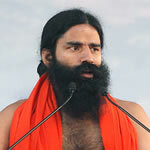 I appeal to the celebrities and people that they should take initiative in donating their body organs." It may be recalled that Kambli had already pledged his body organs to the Narmada Kidney Foundation last year by signing the Donor's Card. Cricketer Wasim Jaffer was also present at the event. Organ donation is done as a social cause, with the welfare of someone in mind. So from this viewpoint, it is acceptable. 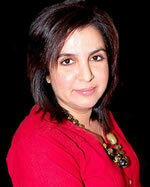 Farah Khan has pledged her organs. 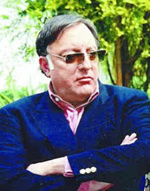 Late MAK Pataudi donated his left eye after death. PM Manmohan Singh & his wife have pledged their eyes.
" I am pledging to donate all my organs after my death and would appeal to everyone to do so, including my teammates."